Ardent Adventurer, High-Altitude Trekker, Adventure Scuba Diver, Badminton Champion, Solo Backpacker, trained dancer in various forms like Katthak, Tango, Bachata, Salsa, Waltz, Jazz, Cha Cha Cha. She has been a software developer with multinationals for 9.5 years to pay my bills for all these, until January 2016, when she gathered enough courage to quit her desk job and hear her calling for the Himalayas. She has moved to Bir in Himachal Pradesh to make a living out of her passions. 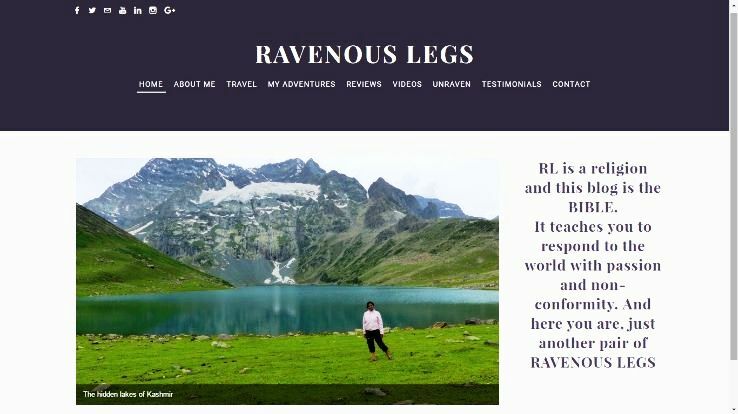 Her blog www.ravenouslegs.com crafts stories about her adventures and the difficulties she overcomes on her solo backpacking trips, giving a picture of the way she let her life flow and giving inspiration to a lot of female travellers and adventure seekers. 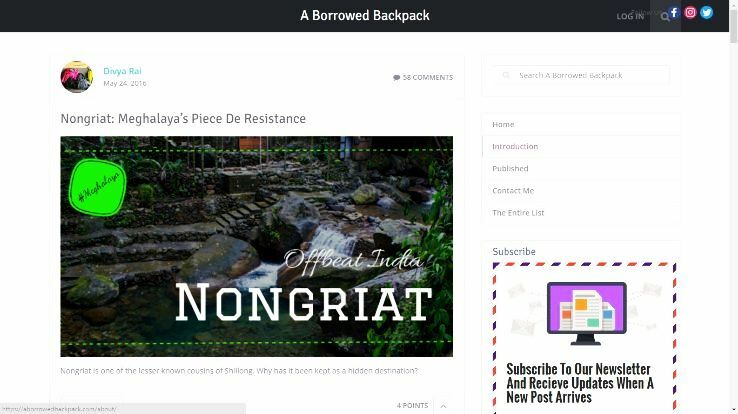 A Borrowed Backpack; because "life shouldn't be about hoarding material possessions", believes the travelogue writer Divya Rai. After 5 years of running her business successfully, she shut the shop to travel and experience the world.aborrowedbackpack.com is about lesser known India and places with soul. Currently based out of Delhi (with roots in a small town called, Bareilly), Divya alternates her time between professional photography, writing and traveling. It is her love for meeting wonderful people in most obscure of places that keeps her going. Deepti, awarded by UNESCO as International Youth photographer, grew up in a small town of Uttar Pradesh in a protective family. Beating all the odds, she is now a self- learned photographer who has touched different genre of photography from Travel to Documentary and have constantly been ranked as Top Travel blogger of India. Her blog datravelography is a beautiful collection of photo stories and travelogue from off the beaten destinations of India and more. Elita is a thoroughbred Indian, stoked by all that there is to explore and experience here in this country. It's this love for travel that fuels her blog www.nomadicthunker.blogspot.in. Every destination she has set foot on has been accounted for. Just like her feet, her hands don't tire either. And she only writes what she has experienced. That's the only way she knows she can be authentic. And that's the only way she can write and egg her readers on to live vicariously through her words or find the nudge they need to go experience it first hand themselves. Sahithi Pulivarthi is 23 years old and from Andhra Pradesh. She started solo travelling a year ago. Travelling just opened up her mind and it shows on her blog www.justagirlwhotravels.com . She has become fearless about getting settled and having a secured lifestyle. She realized that she really doesn't need much money in life to be happy.Travelling for her is all about experiencing different cultures, meeting different people having nice conversations and experiencing the nature to the fullest. She hitchhikes, volunteer at places to keep her travel expenses low. 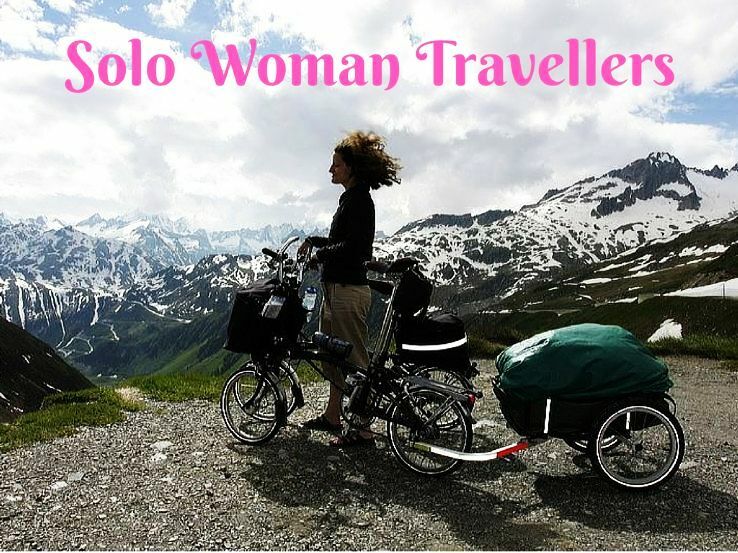 Crazy + Wanderer = Pankti Shah that’s the style of describing the India's female solo traveler. She was born on 19th April 1989 in a small village in Gujarat. Pankti had never traveled anywhere outside Gujarat till her teenage. Traveling was a scary stuff for her from childhood to teenage. She just had a dream cradling in her mind, she wished to explore the world. Since childhood, Pankti was fascinated towards mountain peaks, lush green valleys, landscapes, rocky terrains, beaches and lonely places. Her travel expedition began after marriage. With the support of her husband and parents in law, she started traveling solo. 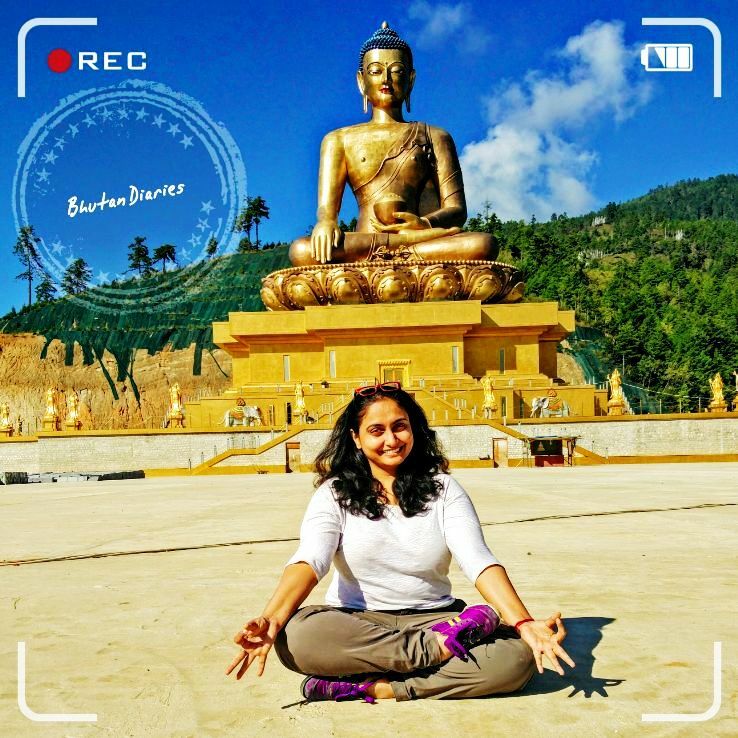 At www.crazywanderer.com Pankti shares her travel experiences and solo travel stories. It is her kind initiative to connect with travelers around the world. Apart from traveling, she is involved in Yoga training and social work. Anuradha is the author of Inditales, a leading travel blog from India covering 25 Indian states and 15 countries, since 2004. She focuses on bringing out hidden cultural aspects of cities through walking tours and through her exploration of art, history & culture while soaking in the nature. After living in 14 cities across India and abroad, she now lived in Goa with her library. Mother, traveller, blogger, bookworm... These are some of the words we would use to describe her, and all of her interests come together when sheI visit a place, or write about it, which is why her blog is called ' Wandering Mind '. She travel, occasionally with family, mostly with my son, and at times by herself or with friends, and write about what captures her attention, wherever she go. www.ghoomophiro.com is a travel blog,where #ghoomophirosisters started penning down their travel experiences, jouneys for the people to get inspired for travelling. They are avid travelers who have been traveling together for more than 8 years now, and have covered length & breadth of the country. Most of their trips are bagpacking trips. Not only travel journeys, they do write about travel accessories, tech. Recently they initiated first ever travel chat in India dedicated for India travel called #ghoomophirochat. 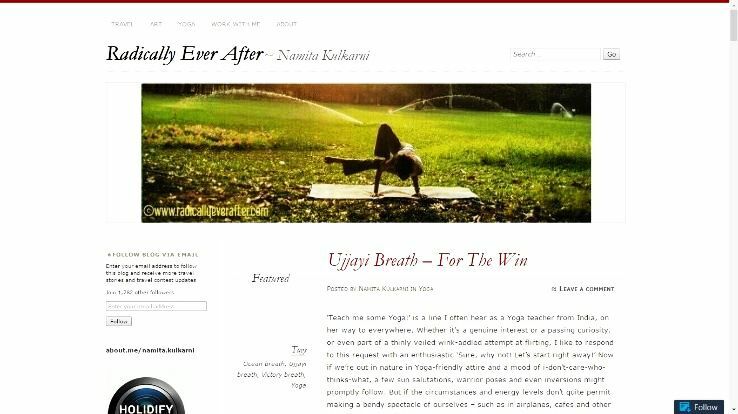 A consultant by profession, a blogger and a life enthusiast by heart. Being an Army brat moving from one place to another has been instilled in the heart ever since. Loves to travel and document her travel stories at singhruby.com, which houses all the travel details of past 2 years of blogging span. Special longing for offbeat destinations and adventures. A keen observer and a quick learner. Love beaches but mountains always come first If have to choose. Lived mostly in Lucknow and thus have a special eye for Art, Culture and Heritage sites. Prefers to explore destinations like locals and not like tourists. Apart from India, the author has also perched on some international destinations too which include Malaysia, Singapore and London being the latest addition. After a successful stint of 15 years in the corporate world, Sangeeta decided to travel around in India and the world. Since then, this once upon a time workaholic is on a journey discovering places, people, food and culture only to discover that Life is a Vacation after all; to enjoy the boundless beauty of this earth. Her blog Life is a Vacation revolves around Travel and Food and is about seeing the unseen in every place, connecting to a place in spirit and discovering the local food, art craft and culture. She takes you on a journey with herself where you can turn the pages of history, walk through mountains, chase your shadows in the desert, watch the wild and come home with the birds. When she is not travelling this fitness freak is stretching out with yoga and planning her next destination and contemplating which eatery to visit in Bangalore.